The Commerce Shop recently released a line of innovative extensions for Magento 2 stores. There are a handful of useful extensions, but we’ve decided to highlight three extensions that can transform your e-commerce store. The first extension is the Apple Pay with Authorize.net extension. In short, this extension accelerates your customer checkout process and allows one-tap/single-touch payment. This makes it easier on your customer. It also allows over 100 currency types and supports multi-stories and multiple languages, meaning it is more accessible to everyone. If you aren’t familiar with Apple Pay, this system allows Apple users to make seamless payments through web browsers and applications. Customers get to bypass entering their information every time they checkout, but instead store their information which creates a cashless and quick checkout process. Apple Pay is secure and is enabled with the best fraud detection networks. The second extension we wanted to highlight is QuickBooks Integration. This extension allows you to sync all of your financial data from Magento 2 to Quickbooks Desktop so that you can accurately calculate your revenue. It syncs your sale orders, invoices, NEW credit memos, shopping fees, discounts and all other information. Another great part of this synchronization is the automatic syncing of all stock values and taxes. This extension maps out tax codes to ensure accuracy. Tax rate and shipping addresses are imported automatically through this extension, avoiding reentering of that information. This extension will make it possible for you to effectively manage your accounts and finances. The third extension is Two Factor Authentication. With a global increase of cyber threats, security is even more important in E-Commerce. This two-factor authentication allows you to safely log into Magento. This authorization helps ensure only authorized users are accessing your backend panel. Once you are logging into Magento, you will get a two-factor authentication sent to either your email or phone, adding an extra layer of security. This extension will help you avoid data breaches and maintain the reputation of your eCommerce store. 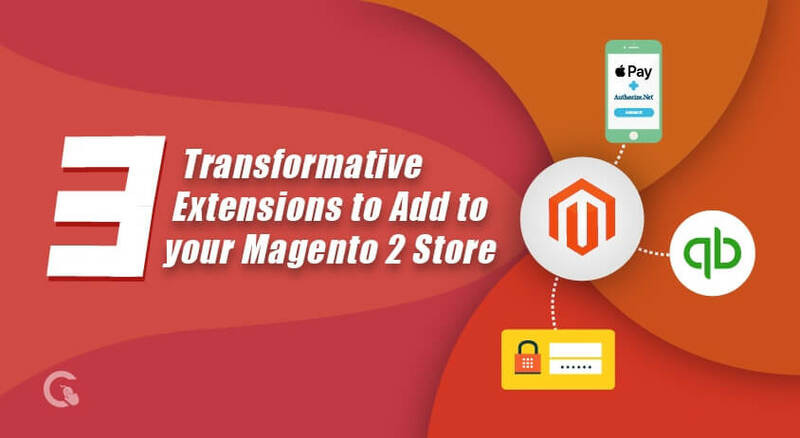 By adding these three extensions to your Magento 2 store, you’re creating a seamless and secure experience for both you and your customers. We’d love to help you implement these extensions, among other marketing strategies that we use here at The Commerce Shop. You can find us here.